Finchley Children’s Music Group (FCMG) is a UK youth choir based in North London for children aged 4 to 18. Noye's Fludde is a one-act opera by the British composer Benjamin Britten, intended primarily for amateur performers, particularly children. First performed on 18 June 1958 at that year's Aldeburgh Festival, it is based on the 15th-century Chester "mystery" or "miracle" play which recounts the Old Testament story of Noah's Ark. Britten specified that the opera should be staged in churches or large halls, not in a theatre. The London Boy Singers was an English boys' choir which formed in 1961. It initially drew its members from the Finchley Children's Music Group. The choir was started at the suggestion of Benjamin Britten, who was its first president. One of FCMG’s most important aims is to encourage young people to take up and to enjoy singing in a choir and to promote appreciation of choral music to as wide a public audience as possible. To this end, FCMG holds weekly rehearsals for all its choirs and creates opportunities for public performance of choral music. FCMG is regularly invited to perform in professional concerts with major orchestras such as LSO, LPO and the BBC Symphony Orchestra and with other children and adult choirs. The main performing choir of upper voices and the SATB Chamber Choir sing regularly in major London venues, a recent appearance being at the BBC Proms in September 2008 when the Senior Choir performed La damnation de Faust with the Boston Symphony Orchestra and the Tanglewood Festival Chorus under James Levine. FCMG makes regular appearances at the BBC Proms and has performed at the premier of two works commissioned by the BBC: Sir Peter Maxwell Davies’ A Little Light Birthday Music for the Queen’s 80th Birthday in 2006 and Alex Roth’s Earth and Sky in 2000. The choir performed in Britten’s War Requiem in the 2004 series and Beethoven’s 9th Symphony in 2005. FCMG offers training and performance opportunities for singers aged between 4 and 18. At present there are over 150 members. The Beginner and Intermediate Choirs are open to all, whilst admission to the Senior and Chamber Choirs is by audition. FCMG has no core funding: running costs are met entirely from members’ subscriptions. The children are drawn from a wide variety of social, cultural and economic backgrounds and financial support is available for those of necessitous financial circumstances so that as many children as possible may benefit from being part of the Group. This support derives from local authority grants or from our own bursary fund which is sourced mainly by voluntary donations from parents. Since its formation, FCMG has pursued an ongoing commitment to the commissioning of new music for children’s voices which was one of the objectives of its founding. Composers who have written for the Group in the past include Brian Chapple, Judith Bingham, Elizabeth Maconchy, Sir Peter Maxwell Davies, Alex Roth, Malcolm Williamson, Piers Hellawell and Christopher Gunning. Many of these works are now prominent in the established canon of choral music that is available for upper voices. FCMG continues to perform these works regularly; for example, Aunt Vita by Christopher Gunning was premièred at St John's, Smith Square in 2002 and was showcased again at the East Finchley Festival in 2003. Brian Chapple’s two works Songs of Innocence and its companion Songs of Experience have become an integral part of the repertoire of the Choir; the former was performed in 1994, 1995 and 2003 and the latter in 2002. Brian Chapple is a British composer, who has won accolades such as the BBC Monarchy 1000 prize and has been featured on the BBC Proms. He was educated at Highgate School and studied at the Royal Academy of Music with Lennox Berkeley. Judith Bingham is an English composer and mezzo-soprano singer. Dame Elizabeth Violet Maconchy LeFanu DBE was an English composer of Irish heritage. In 2008/2009 FCMG celebrated its 50th Anniversary and this celebration was marked by further commissions: Two song cycles for children’s choir from composers John Pickard (Songs of Rain and Sea with text by Sigrún Davíðsdóttir) and James Weeks (Hototogisu, a setting of 17 Haiku written by the great Japanese post Basho). These were premiered at St Pancras New Church, London, in July 2008 and were given their second performance the following January at Kings Place. John Pickard is a British classical composer. Sigrún Davíðsdóttir is an Icelandic journalist and writer. She became the London correspondent for the Icelandic national broadcaster RÚV in 2000 and has been nominated as RÚV's Reporter of the Year. She is particularly noted for her coverage, since the 2008 Icelandic financial crisis, of financial crime, tax avoidance, and corruption, documented through her blog Icelog. She has, however, published a wide variety of books alongside her journalism. Matsuo Bashō, born 松尾 金作, then Matsuo Chūemon Munefusa, was the most famous poet of the Edo period in Japan. During his lifetime, Bashō was recognized for his works in the collaborative haikai no renga form; today, after centuries of commentary, he is recognized as the greatest master of haiku. Matsuo Bashō's poetry is internationally renowned; and, in Japan, many of his poems are reproduced on monuments and traditional sites. Although Bashō is justifiably famous in the West for his hokku, he himself believed his best work lay in leading and participating in renku. He is quoted as saying, "Many of my followers can write hokku as well as I can. Where I show who I really am is in linking haikai verses." In 2008 FCMG also commissioned composer Malcolm Singer and poet Nick Toczek to create a new children’s opera for the same forces as Benjamin Britten’s children’s opera Noye’s Fludde – 3 adult roles, children’s choir and soloists, strings, piano and percussion. The result was The Jailer’s Tale, which was premiered by three professional adult soloists (Steven Jeffes - tenor, Jimmy Holliday - bass and Rebecca Lodge - mezzo-soprano) together with some 170 young people, aged 5 to 18 years, from FCMG with the orchestra from the Yehudi Menuhin School conducted by Grace Rossiter in February 2010. The Jailer’s Tale received its premiere staged performances at the Pentland Theatre - artsdepot, Finchley on Friday February 26th and Saturday February 27th 2010. Prior to this it received a concert performance at The Menuhin Hall, Stoke D’Abernon, Surrey on Sunday February 7th 2010. Nick Toczek is a British writer and performer working variously as poet, journalist, magician, vocalist, lyricist and radio broadcaster. He was raised in Bradford and then took a degree in Industrial Metallurgy at Birmingham University (1968–71) where he began reading and publishing his poetry. Staying on in Moseley, Birmingham, until 1977, he founded his poetry magazine The Little Word Machine, had several books and pamphlets published by small presses, co-founded Moseley Community Arts Festival, and toured with his music and poetry troupe, The Stereo Graffiti Show. Moving back to Bradford in 1977, he co-founded the seminal music fanzine The Wool City Rocker and formed the band Ulterior Motives, in which he was lyricist and lead vocalist. Continuing to tour as a poet and to publish his writings, he also recorded songs with a variety of bands. During the early 1980s, he ran a series of weekly punk and indie gigs. Throughout the late '80s and early '90s, he ran weekly alternative cabaret clubs, usually co-organising these with fellow performer Wild Willi Beckett. Since the mid-'90s, his collections of children's poetry have seen him become a best-selling children's writer. Also, since 1997, he has been regularly collaborating with the composer Malcolm Singer, starting with their Dragons Cantata. By 2011, Toczek had worked as a visiting writer in thousands of schools, visiting dozens of countries worldwide in the course of this work. He is also a professional close-up magician, a skilled puppeteer, an authority on far-right neo-Nazi and racist groups, a prolific print journalist and an experienced broadcaster. The artsdepot is a multi-purpose cultural centre located in North Finchley, in the London borough of Barnet. It was officially opened on 23 October 2004 for the enjoyment and development of the arts in North London. FCMG has recorded regularly for radio, television, film and on the Hyperion, Naxos, Somm, EMI and Decca labels. Over the last two years the choir has been used extensively to record tracks for Sing Up, the UK government initiative to encourage singing in primary schools. The BBC Symphony Chorus is a British amateur chorus based in London. It is the dedicated chorus for the BBC Symphony Orchestra, though it performs with other national and international orchestras. Colin Matthews, OBE is an English composer of classical music. The CBSO Chorus is a chorus based in Birmingham, England. Darien Robert Kabir Angadi was an English singer and actor. Los Angeles Children's Chorus (LACC) is a children's choral youth organisation based in Los Angeles. LACC has appeared in more than 300 performances with such organizations as the Los Angeles Opera, Los Angeles Philharmonic, Los Angeles Master Chorale, Hollywood Bowl Orchestra, Los Angeles Chamber Orchestra. Susan Elizabeth "Suzi" Digby, Lady Eatwell OBE is a British choral conductor and music educator. Simon Halsey, CBE is an English choral conductor. He is the Chorus Director of the City of Birmingham Symphony Chorus, a position he has held since 1983, and has been Chorus Director of the London Symphony Chorus since 2012. He is also artistic director of the Berlin Philharmonic Youth Choral Programme and the director of the BBC Proms Youth Choir, and Conductor Laureate of the Berlin Radio Choir. He is Professor and Director of Choral Activities at the University of Birmingham. Ben Parry is a British musician, composer, conductor, singer, arranger and producer in both classical and light music fields. He is the co-director of London Voices, Assistant Director of Music at King's College, Cambridge, Artistic Director of the National Youth Choirs of Great Britain. A Boy Was Born, Op. 3, is a choral composition by Benjamin Britten. The Choral variations for men's, women's and boys' voices, unaccompanied was originally composed from 1932 to 1933. It was first performed on 23 February 1934 as a BBC broadcast. 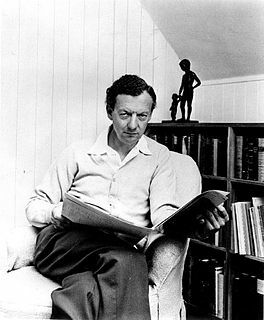 Britten revised the work in 1955. The composer set different texts related to Christmas to music as theme and variations, scored for an a cappella choir with boys' voices.